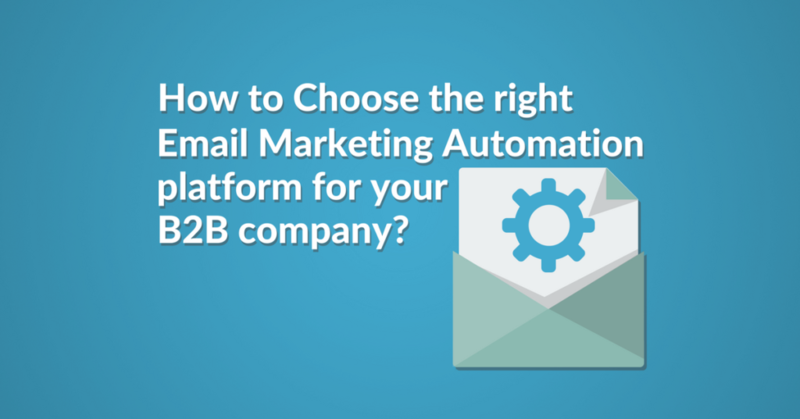 How to Choose an Email Marketing Automation platform for your B2B company? With a 3800% ROI ($38 return for every $1 spent) email is one of the best channels to communicate with your audience. Automating your email marketing can yield even better results. Companies who send automated emails are 133% more likely to send relevant messages that correspond to the customer’s lifecycle. Also, automated campaigns average 70.5% higher open rates and 152% higher click-through rates than traditional bulk emails. So, I don’t think there’s any question whether you should automate your email marketing. The right email marketing automation platform can save your business time, money and increase your conversion rates. The only question is how to choose the suitable platform for your company’s needs. In this piece, we’re going to have a look at what you should consider when you select your email marketing automation vendor. As I mentioned, email marketing automation solutions can save you time and money. But to get them up and running requires some setting up. The implementation process includes uploading your database, creating your emails, building your automated workflows and integrating your platform with your CRM, landing page builder and the other tools in your marketing stack. Once, you have everything set up, you still have to check back to look at your analytics, send out your newsletters and manage your contacts. You should choose a solution where you can perform these tasks in a couple of minutes. For this, you’ll need easily digestible analytics and a convenient bulk sending flow. We’re going to have a look at all these factors one by one. Source: Automizy email editor. Build this yourself! These are the heart and soul of any email marketing automation platform. 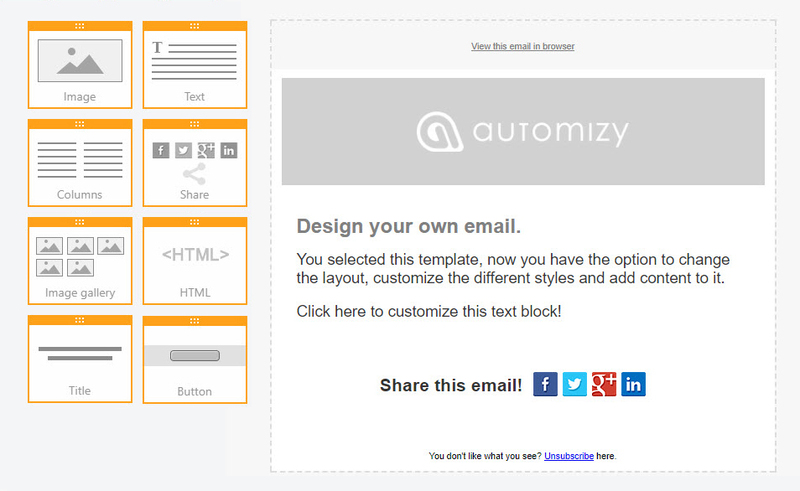 The solution you choose should have amazing, responsive email templates. You just change a couple of things and you’re good to go. However, designing responsive emails from scratch should be effortless, too. So, an easy-to-use drag and drop email editor is a must. Source: Automizy registration confirmation reminder workflow. Build this yourself! The same goes for the workflow editor. Once you have the process you want to automate in your head you can create it in a matter of minutes. Select a trigger, like a form submission, tagging action, API call, or anniversary. Then create email sending actions, waiting periods and conditions in between the emails. You can set up conditions for opens, clicks, or if a contact has a tag. Conditions are a great way to segment your subscribers based on engagement. For example, a form submission trigger is great if people subscribe to your newsletter and you’d like to send a welcome email sequence. In the emails, you can link your best-performing blog articles and other educational content. After an email where you link to an article, create a link click condition. 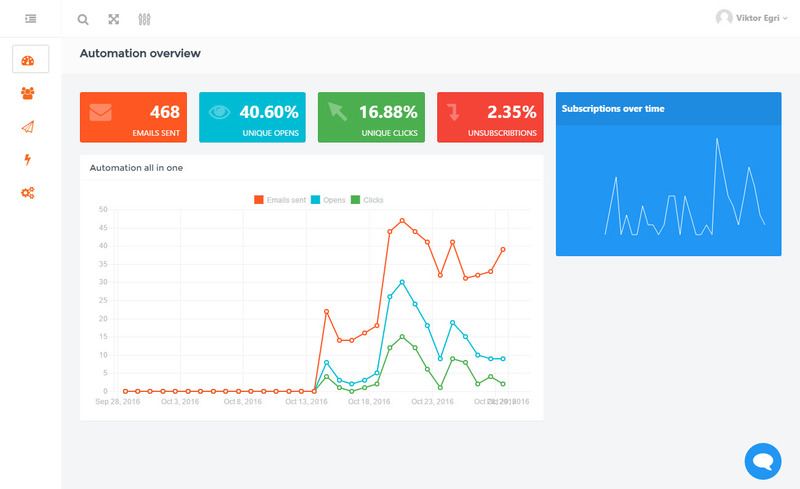 This lets you segment your subscribers based on their engagement. Create a tagging action for both parts of the condition. Put a “high_engaged” tag on the people who clicked on the link, and a “low_engaged” tag for the ones didn’t. You can then create another automation for the highly engaged people on your list with the “highly_engaged” tag as a trigger. You can nurture them and send them offers. Use an API call as a great trigger if you’d like to trigger an automation based on actions your users took in your software. This way you can start an onboarding email sequence after people signed up for your free trial. With the anniversary trigger, you can automatically wish your subscribers happy birthday or send emails after they’ve been subscribed to your list for a year. These are the two most important tasks of your email marketing processes. 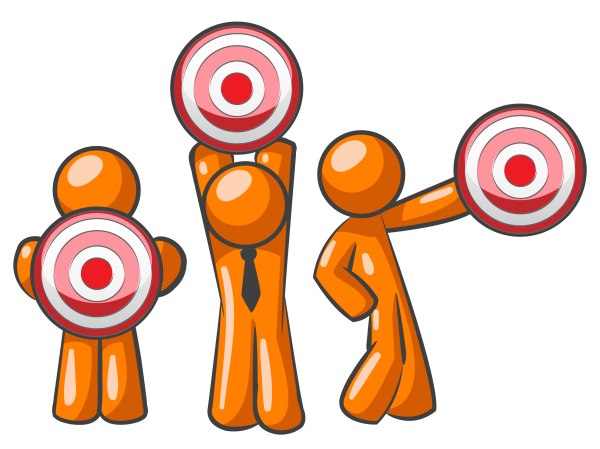 By doing them conveniently, and in a jiffy, you can focus more on your marketing strategy. Try creating a workflow like this example. Get started for free now! 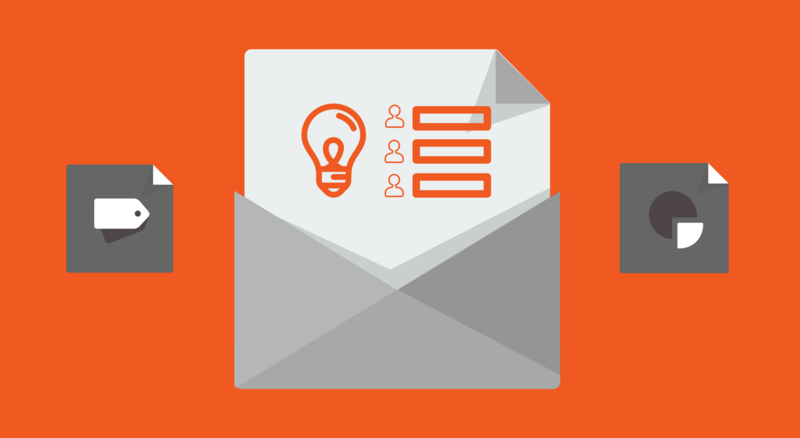 Contacts are at the center of your email marketing strategy. In the platform you choose it must be easy to manage and segment them. You must be able to create list segments based on rules you set up. Rules like contact field values, tags, lead score, etc. You can label your subscribers with tags, update their contact fields and lead score. As the data changes in the system, these segments are continuously updated. This way you can avoid spamming your subscribers with irrelevant messages and send relevant messages to highly targeted segments of your database. Building your list might be more important than managing it. For that, you’ll need forms to capture the emails address of your website visitors. 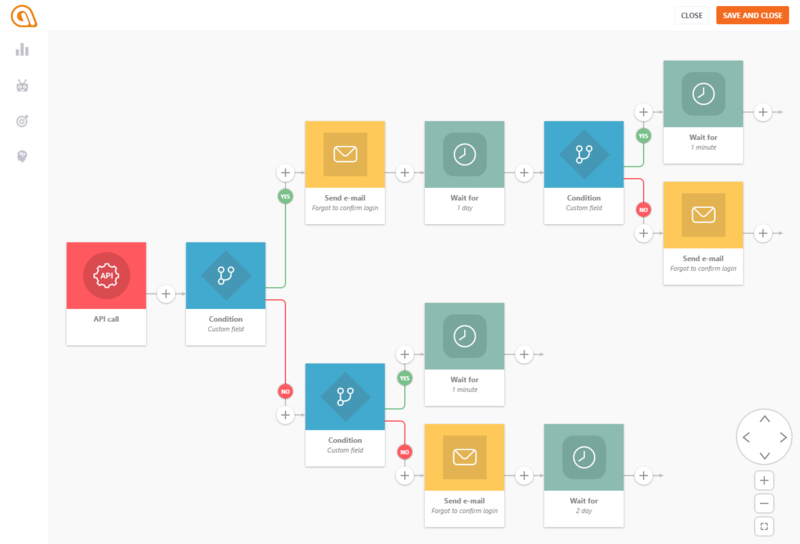 Your email marketing automation platform should have a form builder where you can design great-looking forms in minutes. These should automatically send the contact information to the platform. But what if I already have forms on my site? You might ask. There’s no need to replace them. With a good platform, you can connect your existing forms to your system without coding skills. After the form is detected connect the form fields to the custom fields of your email marketing platform. Capture the existing forms on your website! Try it out now! Your database is imported and the forms on your website and blog are set up, so you can start capturing the emails of your visitors. In-depth analytics and reporting is a key feature. Otherwise, how could you tell whether your campaigns are successful or not? In your platform of choice, you must be able to see the most important KPIs at a glance. Also, it has to provide you with the ability to dig deeper. So, you can see the things you’re doing great and the things that need improvement. Data can be hard to understand, especially if it’s not presented properly. Good visuals help you understand data faster and makes reporting easier. You should also find a solution that shows this data on a timeline. It helps you understand subscriber behavior. Source: Automizy automation analytics dashboard. Get in-depth statistics of your campaigns! Seeing this data on a timeline and for different durations lets you compare the time periods. And if something jumps out, be it positive or negative, you should dig deeper and find out what it is exactly. You can do that on level 2 and 3. Source: Automizy automation email analytics. Get in-depth statistics of your campaigns! On the screenshot above, you can see the basic stats on the right side. If you can click on “details” you’ll see detailed analytics about individual emails. And if you click on “more” for a metrics you’ll get a list of the people who opened, clicked and unsubscribed from your emails. Drilling down to the level of a single contact sometimes highlights details which can lead to a sale. So, you should a choose a solution with a contact journey feature. Today, having landing pages is absolutely necessary. You can use them for your lead generation campaigns, special offers, contests or launches. However, most marketers aren’t known for their developing and graphic design skills. So you’ll need the best easy-to-use landing page software, Unbounce, and an email marketing automation platform that integrates with it. Putting behavior-based pop-us, for example, on your pricing page, and blog can increase your subscriptions and conversion rates a lot. Optimonk is a great, convenient solution to put different types of pop-ups, slide-ins, and overlays on your pages. So you want an email marketing provider that you can easily connect with it. Zapier is an awesome service that lets you connect tons of apps. So even if there isn’t a native integration between the tools you use, you can still send data through Zapier. It’s an absolute must that your email marketing platform integrates with Zapier. Your email marketing vendor should also have a reliable API with a clear documentation. If everything else fails you can always connect your apps with API calls. You should be able to conduct these test on your bulk and automated emails, too. Split testing bulk emails is fairly easy, but it gets really complicated with a sequence of automated emails. The reason is that the exploration and exploitation parts are two distinct stages, which in this case of automations will result in a very long test. Because to have significant results you have to wait a lot until enough prospects receive the emails. And the length of the exploration period will result in the use of outdated information in the exploitation stage. Automizy is all about making the lives of marketers easier. With industry and solution-specific uses of Artificial Intelligence. For example, a multi-armed bandit algorithm mixed with machine learning opens up a new world of possibilities for split testing. Automated workflow optimization that saves times and helps marketers have higher open, click and goal conversion rates. Once you’ve put together the automated campaign, set up the variations, and figured out what goal the algorithm should optimize for, just let it do its job. The algorithm starts out with an equal sending weight for each variation. But as the subscribers move through the drip campaign it adjusts the sending weights based on engagement data. And ensures you send out the best possible message sequence. Another use case for AI is subject line recommendation. The algorithm will recommend better-performing subject lines. In email marketing and automation, deliverability is extremely important. Higher deliverability rate means more of your emails will land in the inbox of your subscribers. There are 3 main variables that determine your deliverability rate. The first one is based on the content and formatting of your emails, plus some authentication. Use fewer images in your emails. Don’t put too many links in your emails. Try to avoid spammy expressions such as “free”, “money”, “$$$”, “100%”, “Risk-free”, etc. 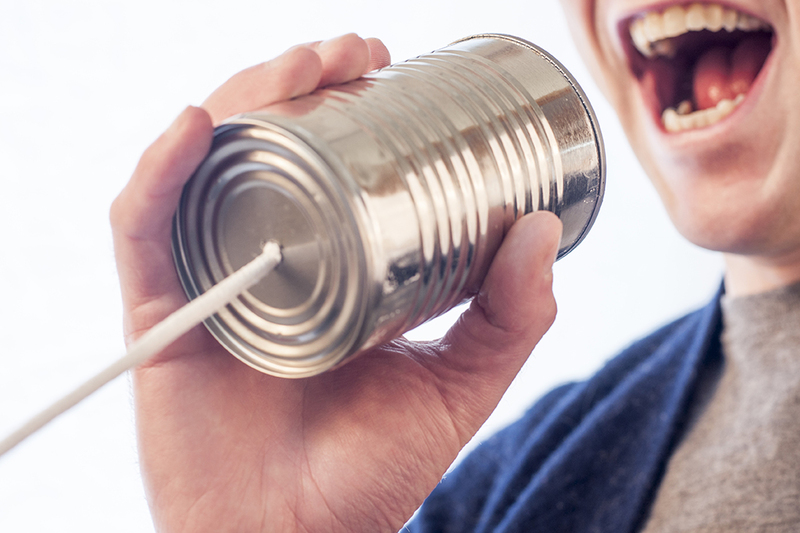 “Engagement rate” means the interaction between your subscribers with your emails. Higher open and click rate = better deliverability. The third and most important part of deliverability strictly relies on your email marketing automation provider. These types of software use a specific technology to send emails. These are the SMTP servers. When an SMTP server sends an email to an email client, the client will check the sender server’s reputation. If the email client sees that the reputation of the sender server is low, it will not accept emails coming from it. Also, there are regulations that must be applied by the sender and usually it is the provider’s responsibility. If a provider continuously violates these rules (not because they are bad guys, just because they don’t follow the changes of these regulations) their servers will be blacklisted which means your deliverability rate will be exactly 0%. Usually, solutions that have big clients from the financial or the insurance sector will pay attention to this and have to always meet the legal requirements. Most email marketing automation platforms have free trial periods. This is great because you can get a feel for not just how the tool works, but how the company interacts with its customers. So don’t be shy, reach out and start asking questions. Ask about the platform itself, features, pricing etc. 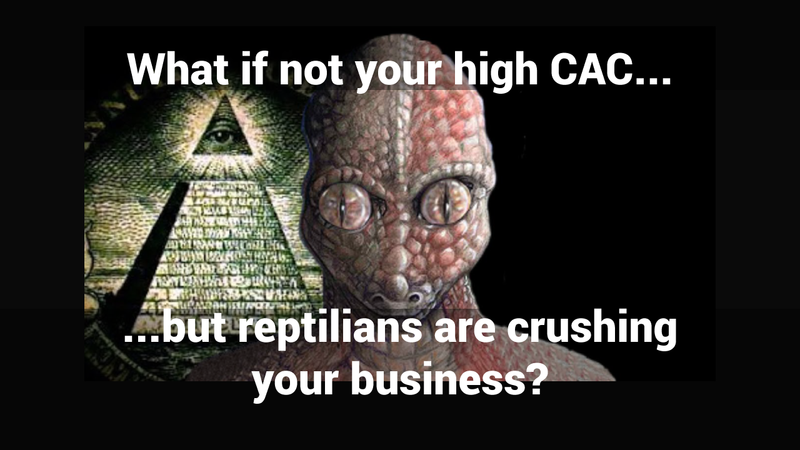 But don’t stop there, tell them some of your related business challenges. Put their industry-related knowledge to the test. Give Automizy a try or just ping us and have a chat about your business needs. Applying these criteria you’ll have a better idea about what to consider when choosing your email marketing automation platform. All the screenshots are from Automizy. We make it easy for you to get started with email marketing automation, to help you maximize the conversions from your email subscribers. If you don’t have an Automizy account yet, you can register right now and try these examples for free. Thanks for the comment. Yes, it sure is. What do you think most people miss when choosing a vendor?